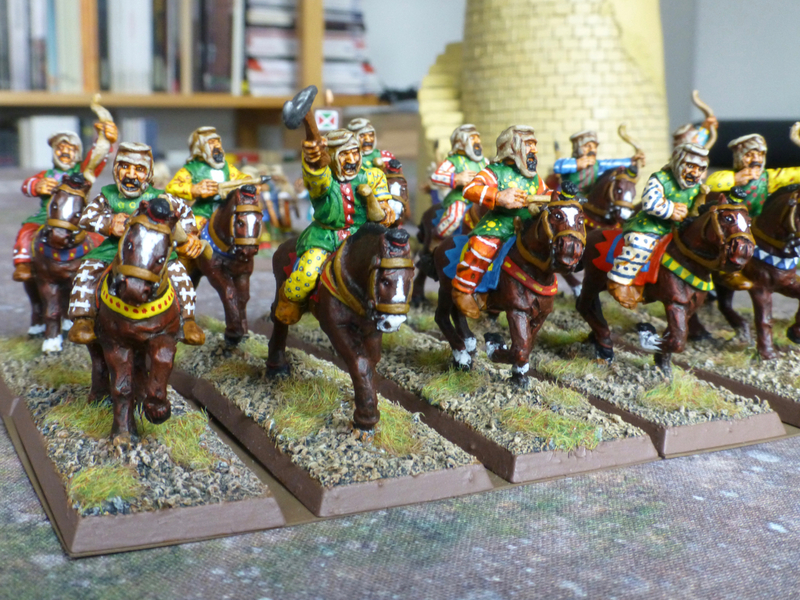 I managed to stick with my Achaemenid Persians and achieve the target of finishing a unit of infantry archers and a unit of horse archers. They are all wearing Median dress and would be troops drawn from the provinces. 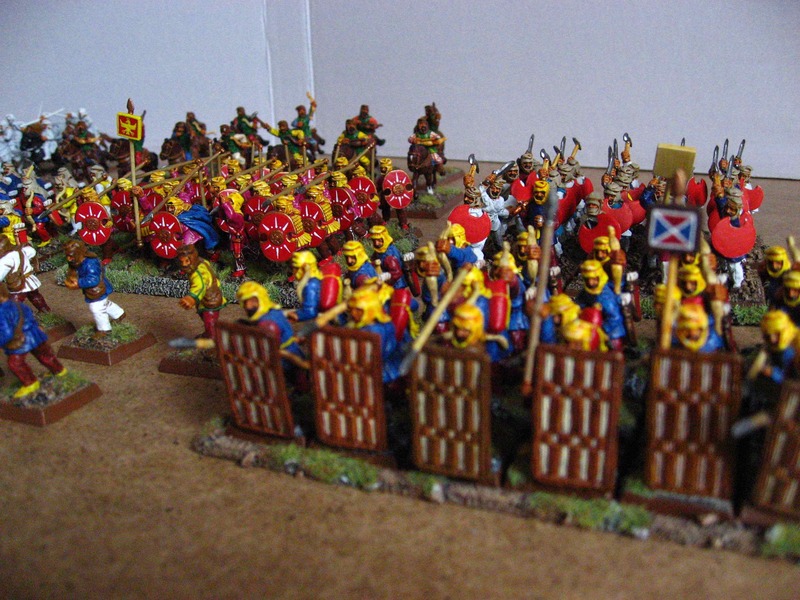 I am generally distinguishing more elite, royal troops by using yellow head dresses and more purple in their uniforms. 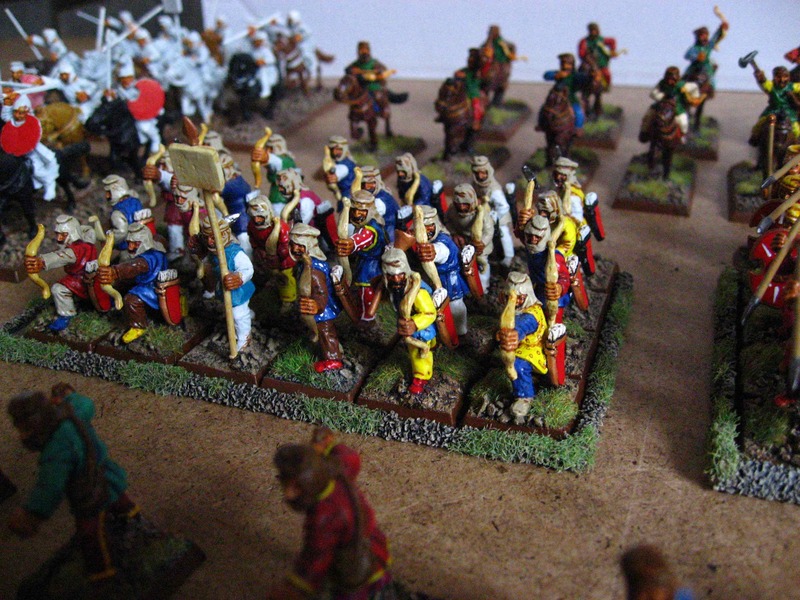 For the basing to use with Field of Glory, I cut 80mm strips of thing cardboard, painted them brown and stuck the figures down with Blue Tac, which makes them easy to move around without movement trays. 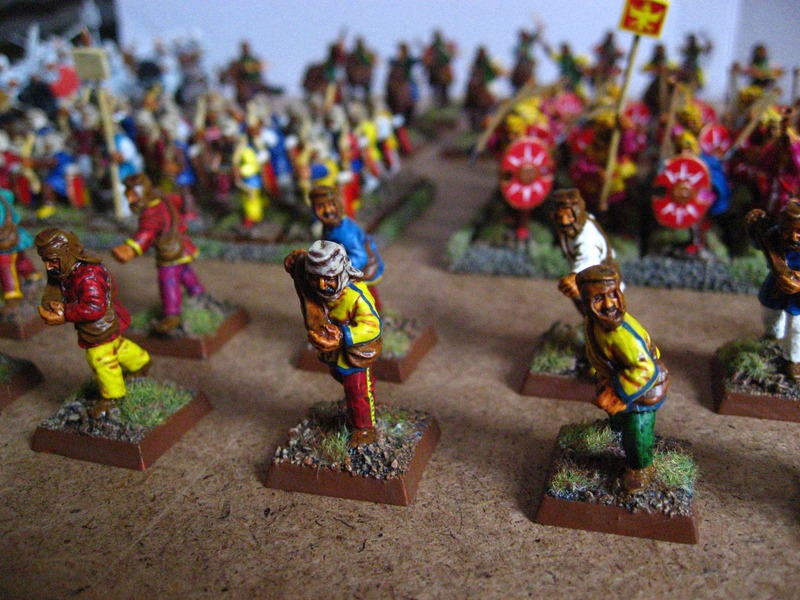 For the infantry, about half of the figures had all their basic colours on already, while the rest were only painted up to a single uniform colour. 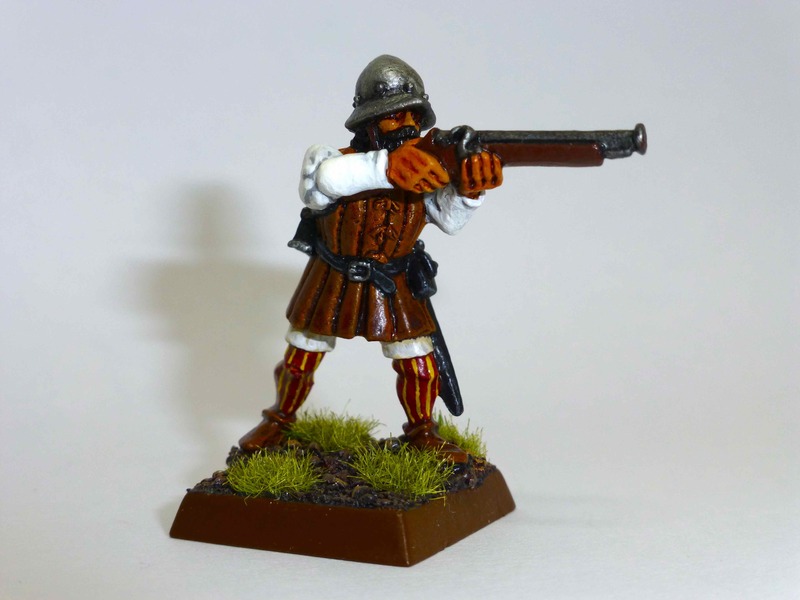 Now with a bit of highlighting throughout and patterns on their clothing, they can finally pass muster. 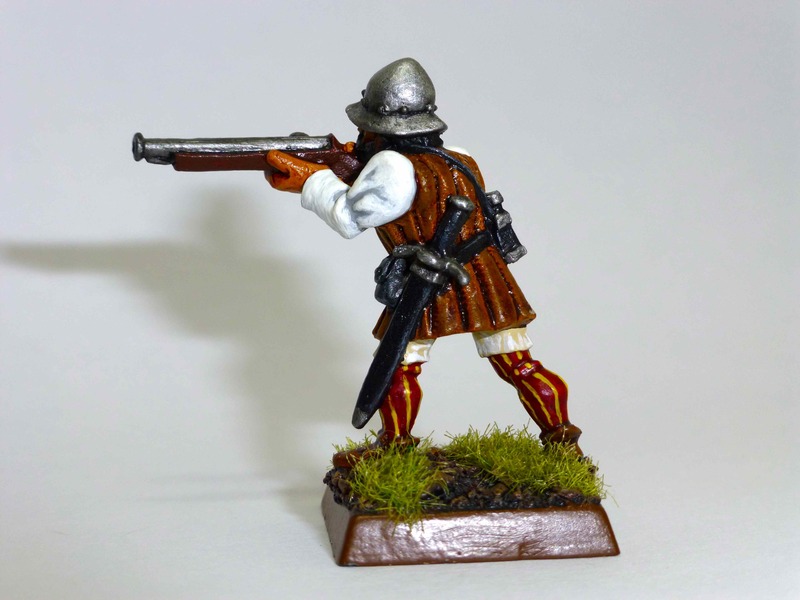 These are not sparabara, which I have another regiment of that still needs to get the detailing treatment. 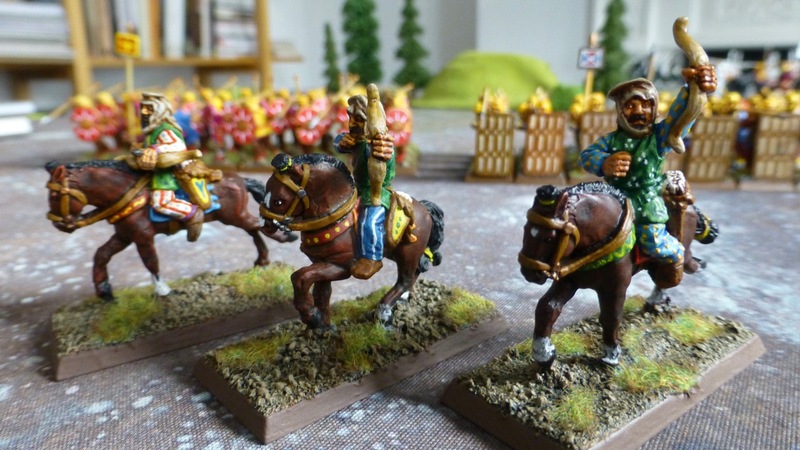 The horse archers are the first of three units of 12 cavalry each I need for the army. Since the others don’t have much paint on them yet, I might continue doing base colours on them first. 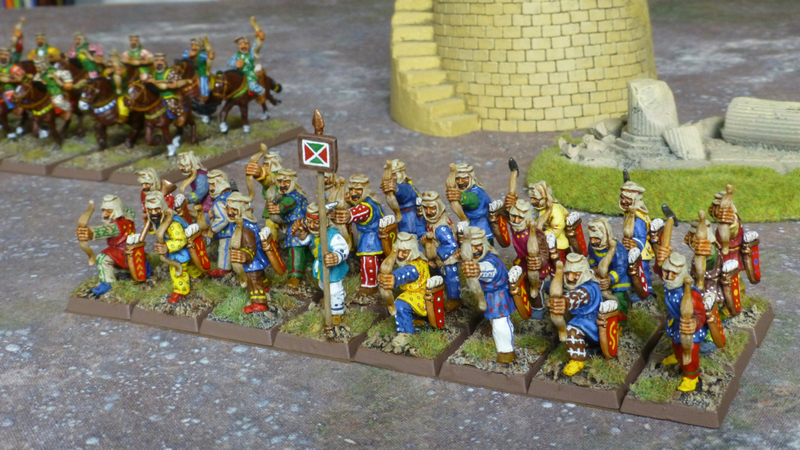 About 20 years ago, my Achaemenid Persians unleashed their invasion forces onto Greece, regularly facing off and being soundly repulsed by two Spartan and Athenian generals. In other words, history repeated itself. 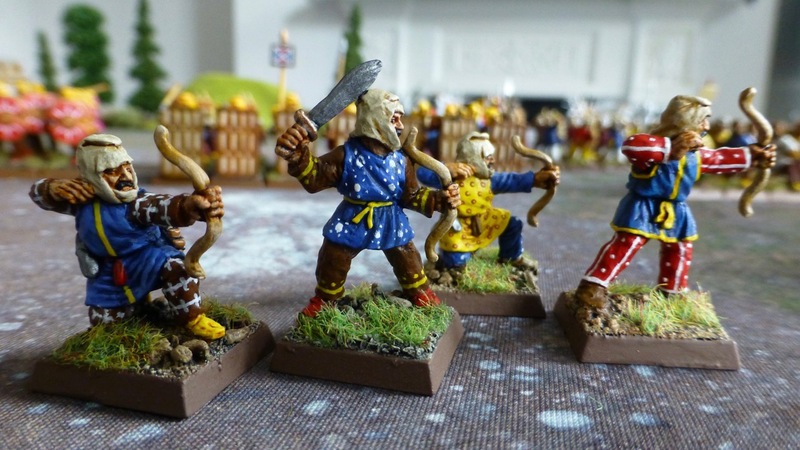 Back then we played using the first edition of Warhammer Ancient Battles. 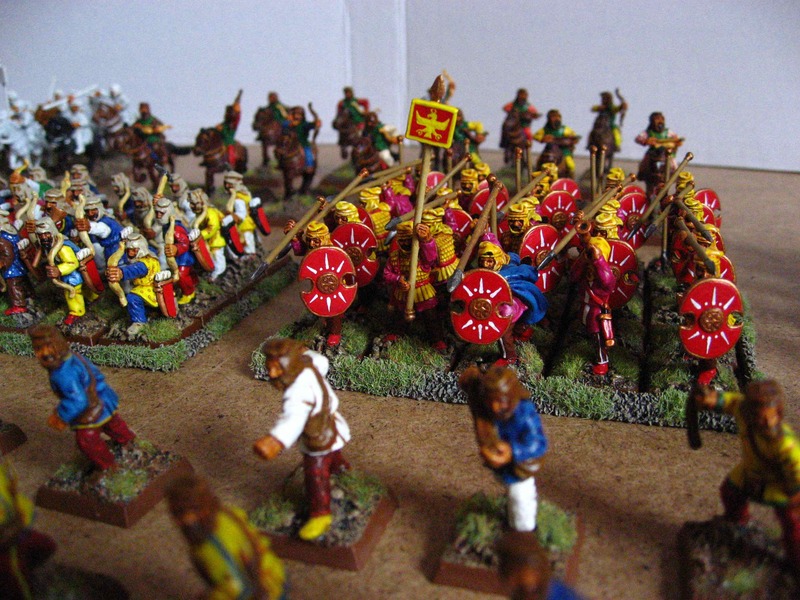 Years later, while rarely playing or collecting historical armies, I bought Osprey’s Field of Glory, mainly to browse through the artwork and photography. 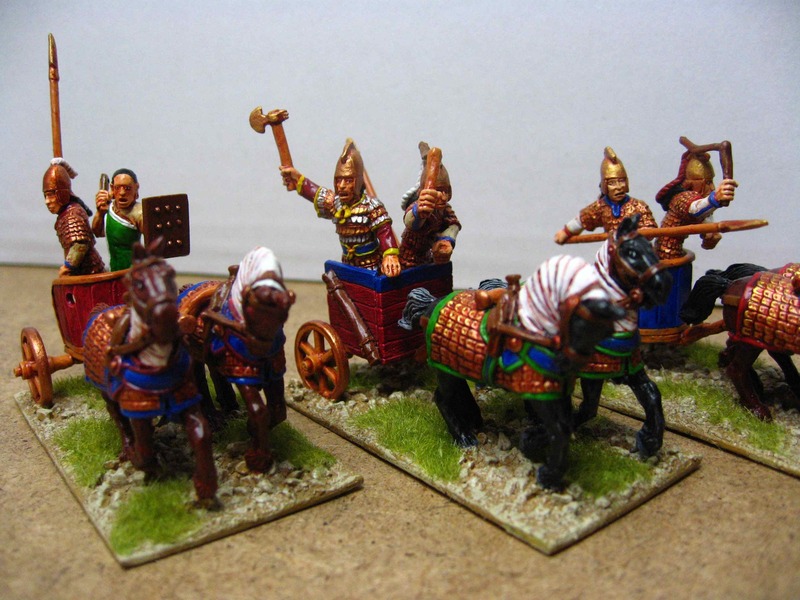 Seeing as I recently felt inspired to continue work on the Achaemenids, I decided to organise them according to Field of Glory army lists and conventions. 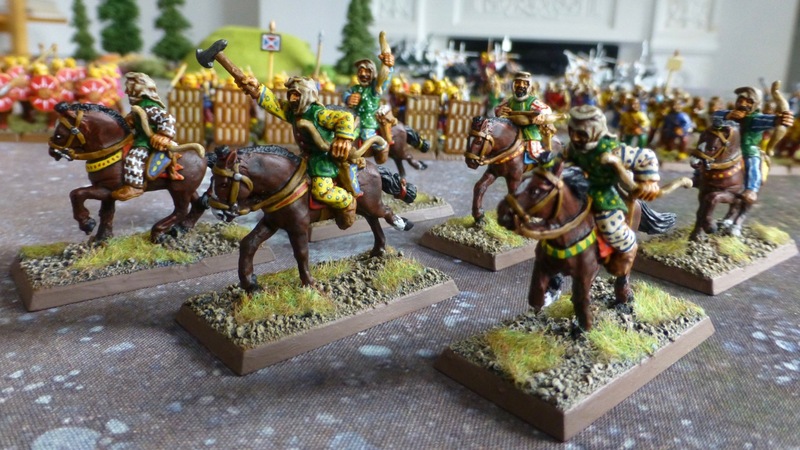 This mainly means grouping them into 80mm wide ‘bases’ (60mm is the default but I will mostly likely only ever field them against other armies of mine using the same standard) of 4 infantry or 3 cavalry. 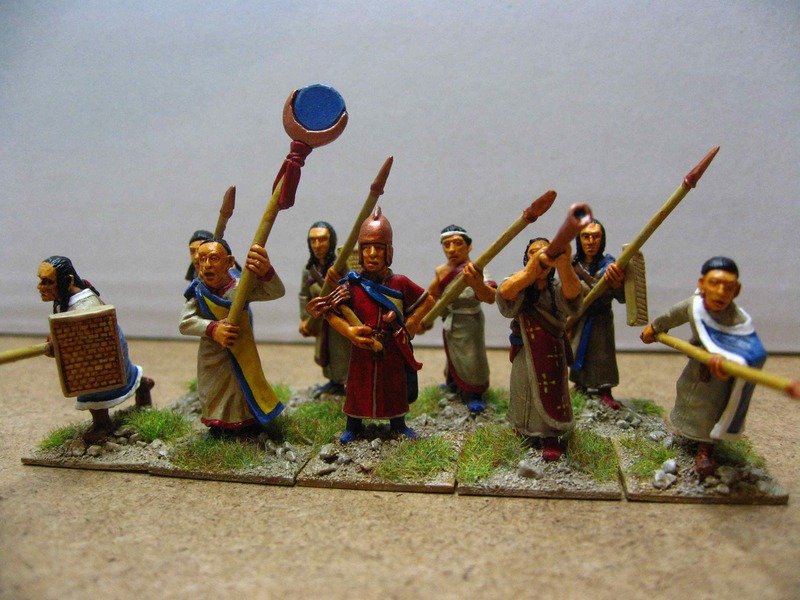 The main reason I am revisiting the Achaemenid Persians is for painting though. 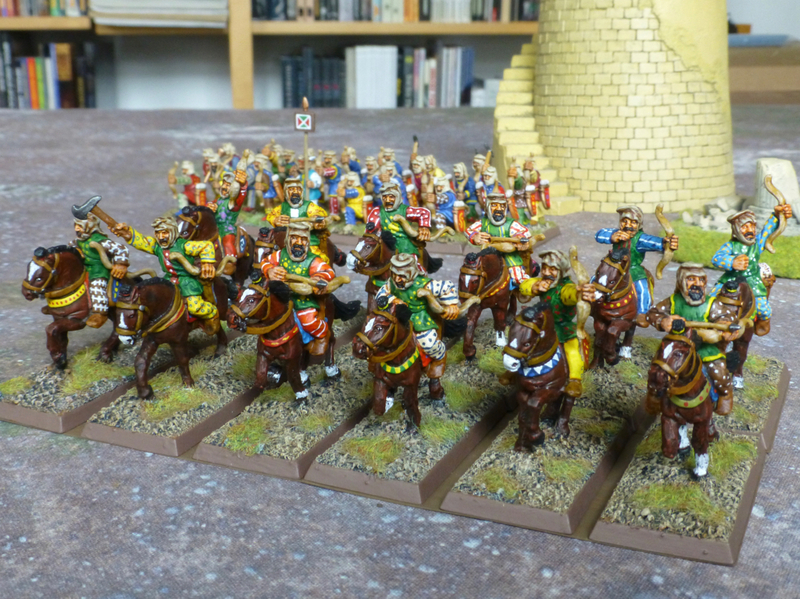 The army has some paint on all the units I used to field, some being essentially finished yet quite basic, others only based with one or two main colours on. 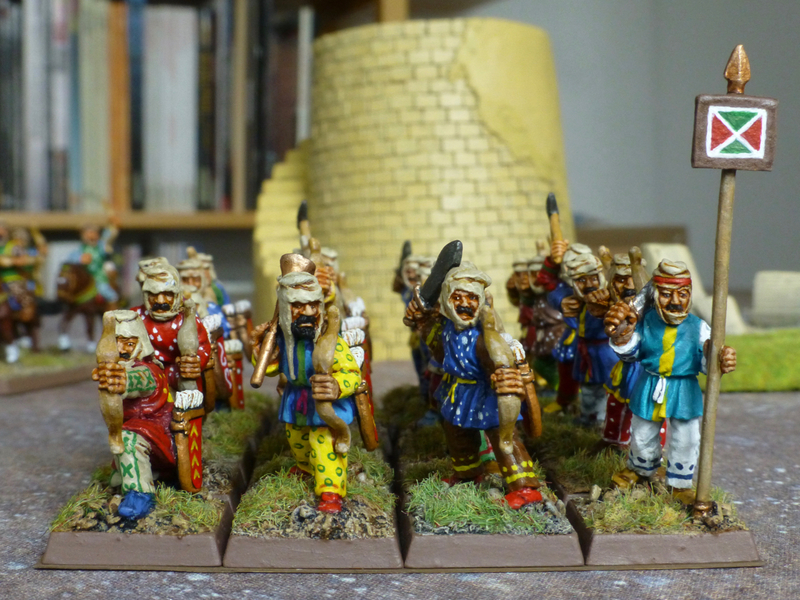 The draw for any army of ancient Persia is surely the riot of colours and patterns in their dress, so I picked some of the initially completed figures, added some highlights and painted more patterns onto their tunics and trousers. 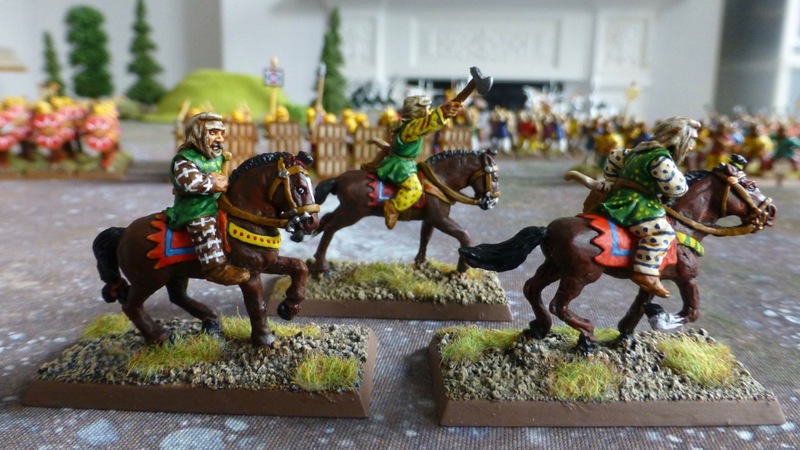 For the horse archers, I gave the mounts a spattering of white markings. 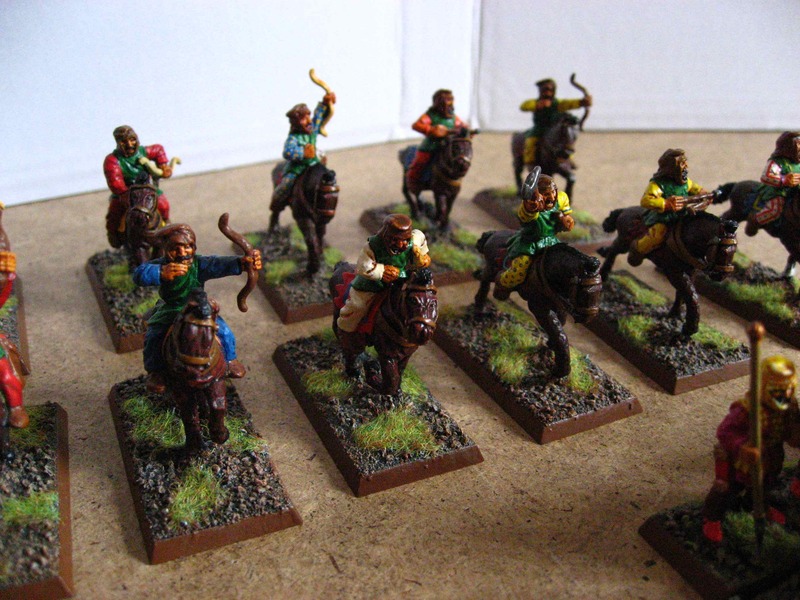 Otherwise, I think their dark reddish brown is a nice backdrop for the bright riders. 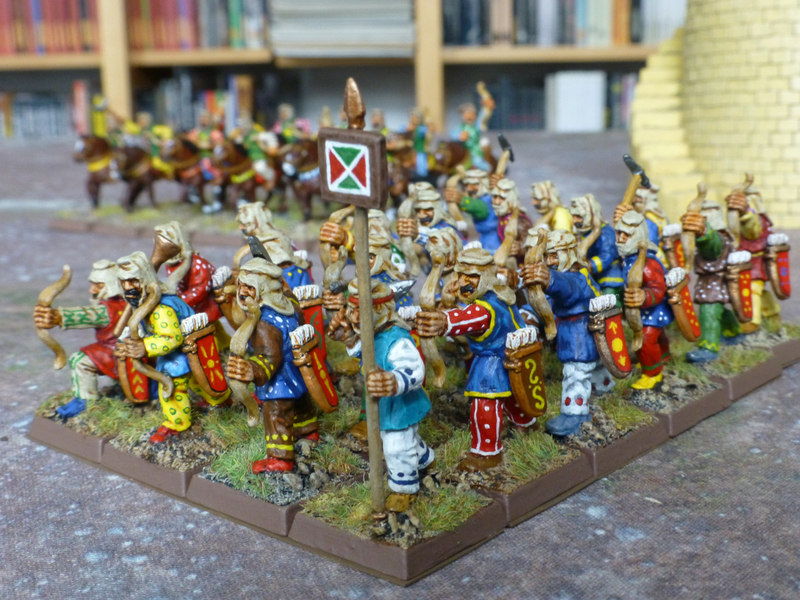 So that’s 10 down and about 100 left to go to really complete the army. 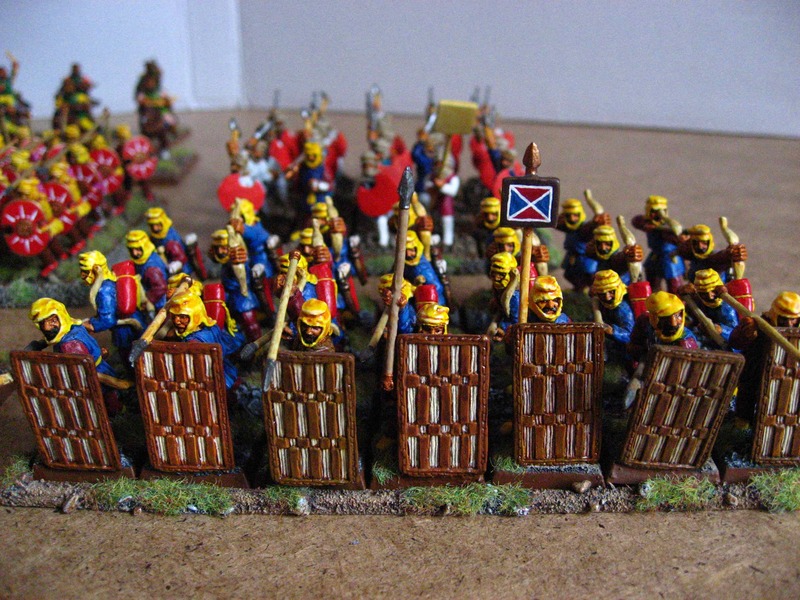 I think Greece can rest easy for the moment, while the King of Kings marshals his forces.